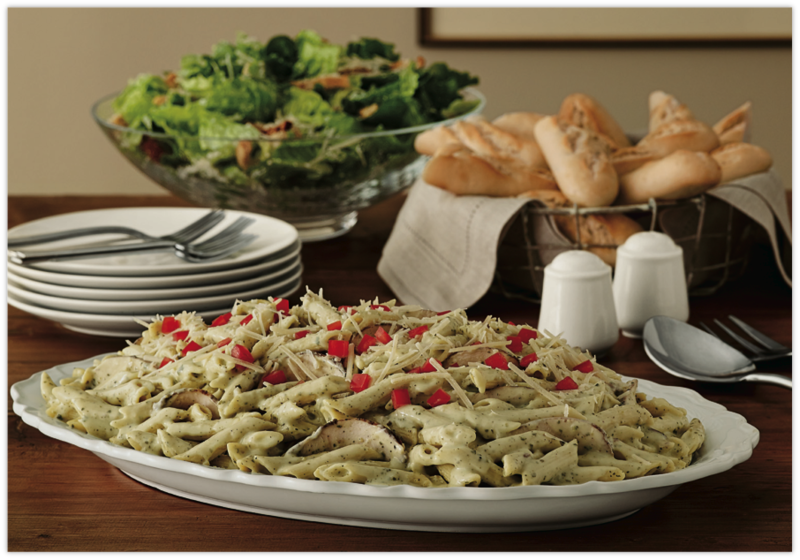 Penne pasta tossed in pesto cream sauce with balsamic chicken and garnished with diced tomatoes. Served with fresh-baked mini sea salt baguettes . Penne pasta tossed in creamy gruyère cheese sauce with fresh steamed broccoli, sautéed mushrooms and red bell peppers, garnished with fresh diced tomatoes and green onions. 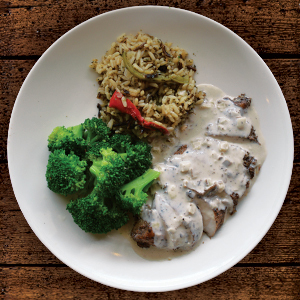 Our signature balsamic marinated chicken with creamy wild mushroom sauce and two sides. 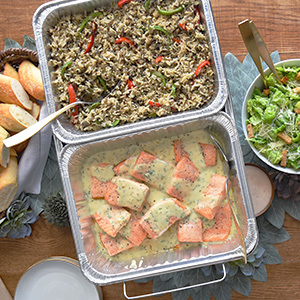 Roasted salmon filet topped with creamy garlic dill sauce and two sides.